Pick up your rental car at Calgary airport and make your way downtown. Today, you will be heading for the Drumheller Valley, the heart of the Alberta â€œBadlandsâ€. Gouged from the prairie landscape by prehistoric wind, water and ice, the Badlands are as mysterious and moon-like today, as they were when they were formed. Exposed sedimentary rock reveals 70 million years of geological history within the layers. Included Activity: The Royal Tyrrell Museum of Paleontology Found in the heart of the valley along the North Dinosaur Trail, lays out the story of the evolution of the earth and the golden age of the dinosaurs in an exciting and educational format guaranteed to keep you spellbound for hours. 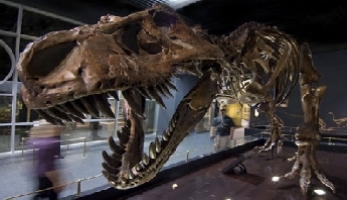 Opened in 1985, the Royal Tyrrell Museum of Paleontology is known the world over as an outstanding paleontology museum and research facility. Continue on through the foothills of the Rockies to Banff National Park. The world famous resort town of Banff is located in the centre of Banff National Park, flanked on all sides by Albertaâ€™s Rocky Mountains. The national park itself offers opportunities for hiking excursions and wildlife viewing. Spend your day exploring, Banff offers a wide variety of activities; The popular Sulphur Mountain Gondola provides stunning views of Banff town-site and the surrounding mountains. The Cave & Basin National Historic site offers a unique look at the history of Banff and the hot springs that led to the development of the resort. No visit to Banff is complete without a dip in the natural Upper Hot Springs. This morning drive to Lake Louise and marvel at the beauty of one of the most photographed vistas in the world. Your drive this afternoon takes you through both Yoho National Park, Rogers Pass and Glacier National Park - some of the most scenically stunning areas of Canada. You may wish to Visit The Kicking Horse Mountain Resort for a Sky lunch and Bear tour. See your City Passports Guidebook for details and savings coupon. 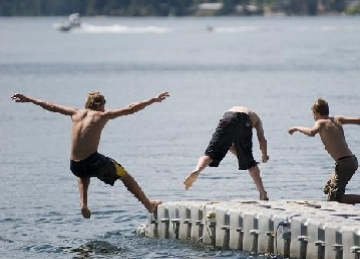 Situated on Little Shuswap Lake, 7 km east of the town of Chase. The area offers a variety of interesting activities. Check your City Passports Guidebook for coupons on Bike and Canoe rentals at the resort. The 2400 feet of white sand beach provides plenty of room for activities such as swimming, sailing, canoeing and water skiing. Biking - Mountain Bike and Electric Assist Bike Rentals - Hiking and biking trails throughout the woods surrounding the lake and hotel allow you to explore nature at your own pace. The only worry youâ€™ll have is whether youâ€™ll make it back for lunch or have the hotel prepare a picnic lunch for you to take along. Canoeing on the lake is a favorite adventure for resort guests. Cultural Activities - Native dance performances, and talks about Native Heritage are available throughout the year. North American First Nations People have been using teepees for thousands of years. Kumsheen takes the personality of Anishinabe-style teepees and furnishesÂ them with the comforts of our cabin tentsÂ to make for a truly unforgettable experience. 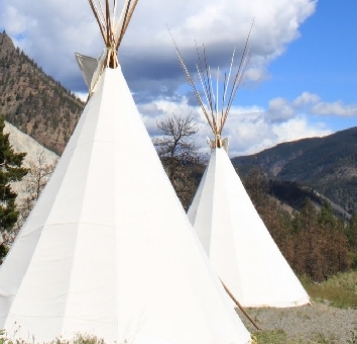 Linen and towels are provided.Â Overnight: Kumsheen Resort, authentic tipi or cabin tents! The Thompson River (the Fraserâ€™s largest tributary) is a deep, powerful river unique in the world of rafting. Because of its size, we can offer power rafts all season and paddle rafts from July to the end of September. One style is not better than the other, they are just quite different. Travel south through the Canyon to Hellâ€™s Gate, located 11 km south (west) of Boston Bar. Continue via Hope to Harrison Hot Springs located at the south end of Harrison Lake. This is the largest body of fresh water in southwestern BC. It is an area rich in history and natural beauty. Today, visitors can enjoy a wide variety of activities. The beaches are ideal for sunbathing, and the lagoon provides a protected warm-water spot for swimming. The lake is also a popular destination for boaters & windsurfers. Drive west from Harrison through the Fraser Valley to Tsawassen. Board the BC Ferry for a 90 minute cruise through the Gulf Islands to Vancouver Island. Keep your camera at the ready during the crossing â€“ orcas, seals and eagles may be spotted. Spend two days exploring Victoria. Highlights to visit include - Beacon Hill Park, Bastion Square, the Parliament Buildings, Chinatown, the Inner Harbour and perhaps afternoon tea at the Empress Hotel.Included Activity: Whale Watching Cruise The on board naturalist of your marine wildlife boat cruise will give commentary on the marine ecology and can recognize individual orca whales by sight. The waters of Juan de Fuca Strait are home to pods of orca whales but grey whales, minke whales, humpback whales, dolphins and porpoise may also be sighted. Choose a 45-foot ocean cruiser or a zodiac boat. choose to drive up Island, we recommend a visit to Duncan which is known for its totem poles and Chemainus with its colourful murals. From Nanaimo you will cross to Horeshoe Bay. Otherwise if you would rather have more time in Vancouver you will depart the way you came from SwartzÂ Bay terminal. Vancouver is nestled between the mountains and the sea, Vancouver is arguably one of the most spectacular cities in the world. Spend your last day exploring Vancouver. A bike rental will allow you to tour scenic Stanley Park. Or tour the city by trolly or double decker hop on hop off services. Based on your flight times make your way to Vancouver airport. Drop off you car at the airport before checking in for your flight home. Document pack at hotel on arrival with maps, safety tips for wildlife viewing, and brochures.